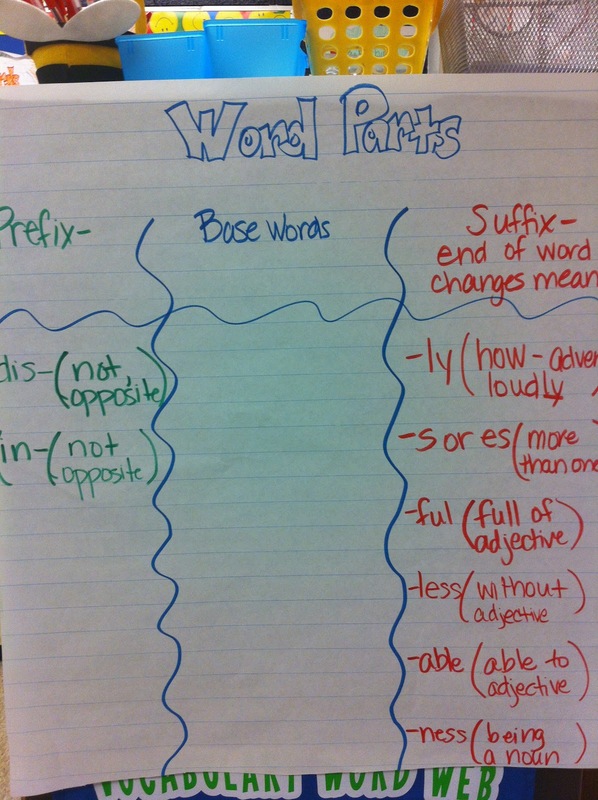 Must Have materials for Reader's & Writer's Workshop! 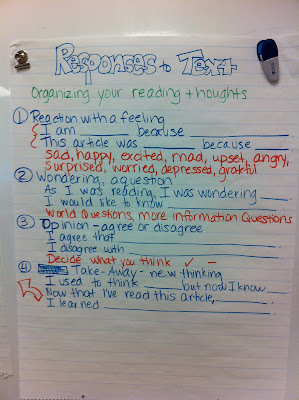 I Looooooooooove Reader's and Writer's Workshop. To be honest, my Writer's Workshop is a modified version - I find that students need smaller chunks of independence and so I spend more time on a ping-pong instructional method than WW allows for, but I love the ideals. Now, be prepared. This next section is a teacher's nightmare. One year, my whole campus was contaminated with mold. Seriously. Mold. The swamp coolers (lame excuses for air conditioners) stopped working and it rained. A lot. Considering we live in a desert. The library, full of lovely books, became a swamp, and we lost everything in that library. Everything. They had to throw out all the books. Isn't that awful? ALL THE BOOKS! IN THE LIBRARY! HAD TO BE THROWN AWAY BECAUSE OF MOLD!!! Holy cow, right?! Because our campus was full of old, and therefore, uninhabitable, we were displaced. Without our stuff. 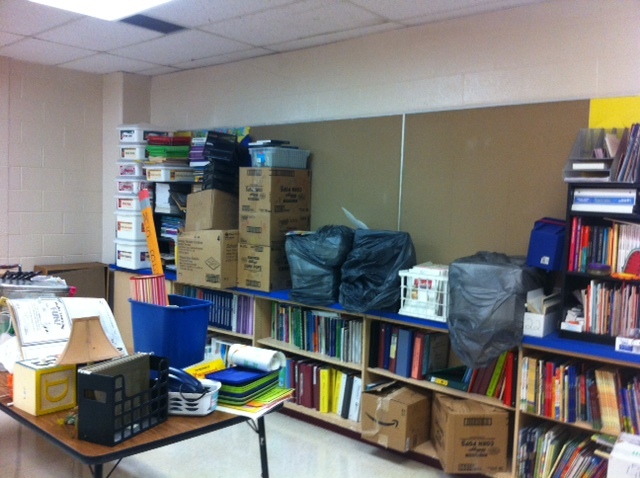 Three weeks before school started, they said, "Guess what! You're going to be shipped across the city. 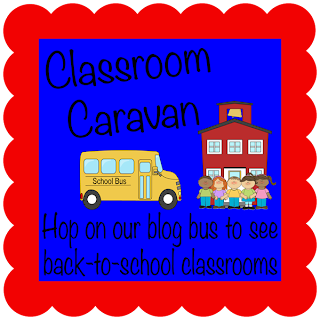 Every day your kids will ride the bus for half an hour - all of them - and sometimes, you will ride the bus, too, to monitor the kids! AAAACCCKKK! Also, you won't have access to your stuff! 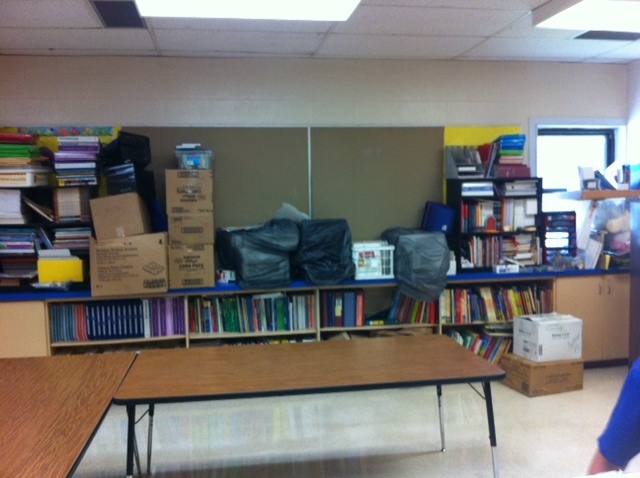 All your classrooms are being sifted through and we are throwing away things we think are contaminated with mold! HEART ATTACK But you better meet accountability. So we started the year in an old building no longer used as a school. We rode the bus for a week out of every four weeks. And that was pretty awful. The word essentials took on a new meaning for me, because that was all I could afford to buy. Again. And pray they didn't throw our stuff out. Which they sometimes did. 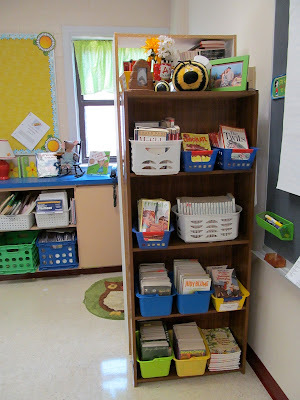 This is what I considered to be essential: Classroom library A well-stocked and engaging classroom library is necessary for kids to make good book choices and learn to read independently. 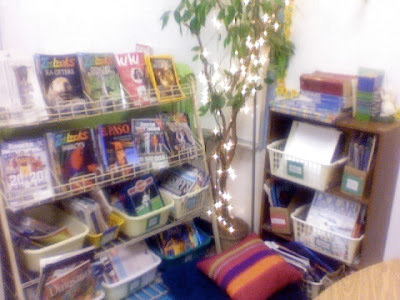 I tried to have books at a variety of levels to match my readers at a variety of levels. Series books always seem like a good addition to the classroom library because the kids can get hooked and then you've got a reader. 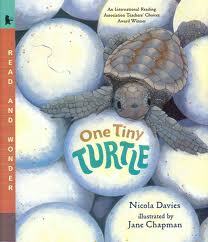 Nonfiction is always great too. I use a lot of chart paper. I chart everything. 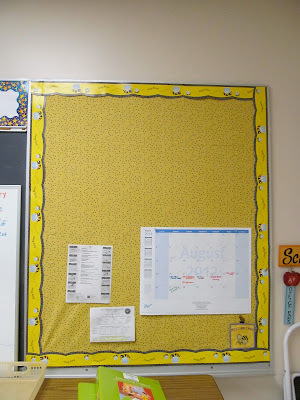 Once my hunny came into my classroom and was asking about things on the walls. "They look useful," he said. I said, "They're supposed to be." He thought it was interesting that everything was in my handwriting - I don't use pre-made posters very often because I think that kids look at them, say, "Oh, that's nice," and then forget. I chart everything out with the kids during my lessons and then very occasionally I'd use a nicer version, if I thought it could do the same job. 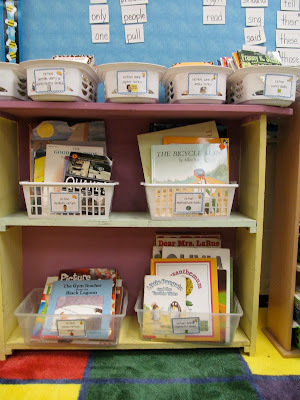 These are some reading and writing charts through the years. Oh, how things change but how they don't, too. 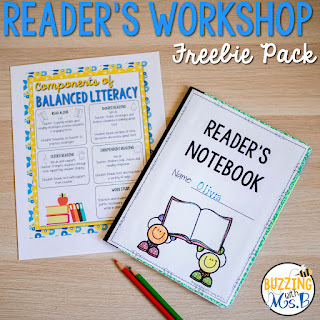 Included in this freebie is a sample cover for a Reader's Notebook. This was my first week in my new job. This school feels funny because it's the same building as my old school, even though they're across town from each other. Both buildings have been remodeled, in different ways, but the majority of the school is the exact same building. It feels like I'm still in my old school but all the rest of the staff has been replaced by pod people. Except that they're much nicer and more excited to try new things than pod people would be. I think. I don't really know very much about pod people. I'm lucky that everyone was nice to me because I spent a lot of time walking in several different directions before actually figuring out which direction I wanted to go. And trying to figure out what my job was. It's so different to be out of the classroom. I hope I'm ready for that. I'm not going to have little baby bops on Monday, the first day of school. Instead, I'll be supporting teachers. I will prepare materials for planning and model lessons. I'll plan trainings and assessments and analyze data. And no little faces will follow me into the classroom every day. And no little fingers will make pencils write on paper scritchy-stratchy. And no little people will give me special hugs like I'm so important. But I'll deal. Because no little naughties will give me dirty looks. And no little naughties will give me heart attacks on state assessments. And no little naughties will make me drown my sorrows at home in a box o'wine. But it's still sad. Speaking of box o'wine... that's totally happening right now. It's been a busy week. I kind of lost track of days and just lived day to day because I am still learning what is expected and how to manage my time in this new position. 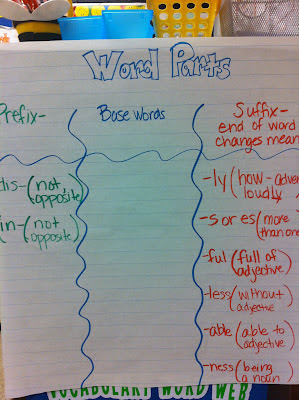 This week, I helped train for the district in writing. I'm also part of something called (oh gosh) a leadership team at my school. Yikes. 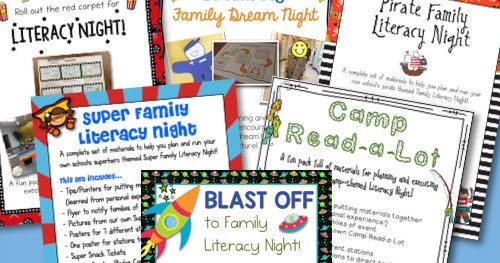 On my campus, I provided training in balanced literacy with a focus on the shared reading component. I'll share those materials below in case you'd like them. (It went very well. It made me feel a little better in a new place. 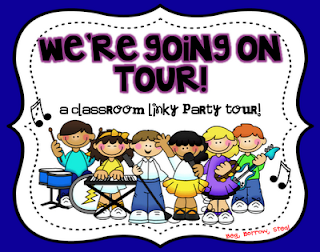 The teachers were so kind and receptive. An aside, bloggers and readers: if I wasn't a blogger and inundated by your constant great ideas, I don't think I would have had as much to share, so thank you thank you thank you for being inspiring.) 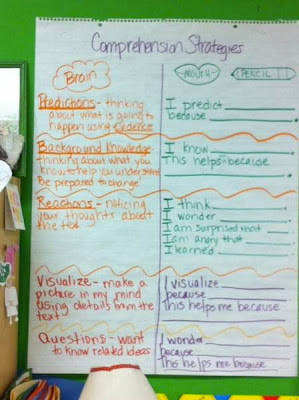 I'd like to help teachers try new ways of doing things they already know how to do. 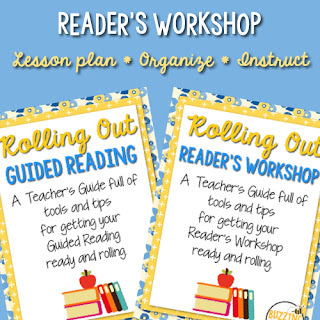 I'm excited to share Reader's and Writer's Workshop with teachers at my new school (3-5. K-2 is doing Daily Five). 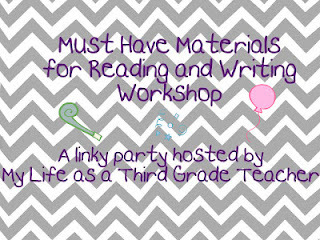 Tomorrow (I promise) I'm linking up with Lindsay at My Life as a Third Grade Teacher for her Must Haves for Reader's and Writer's Workshop. 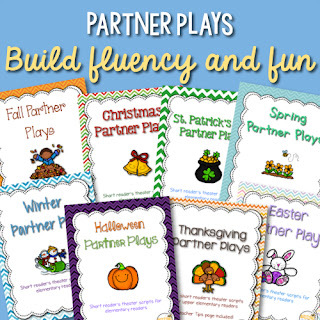 And today, you can grab my training materials for shared reading. 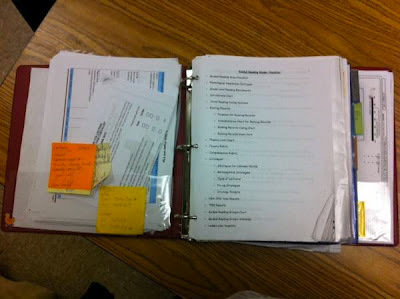 I included a balanced literacy overview, schedule, and some shared reading planning documents. Hope they're helpful! Stick a fork in me! My Classroom is Ready! Cause I'm done! Well, you know. "Done". Not DONE, like I won't have to change it but "done" like good enough for now. Except that as I wrote that sentence, I thought of two two things I still have to do. Oops. I took a bazillion pictures. 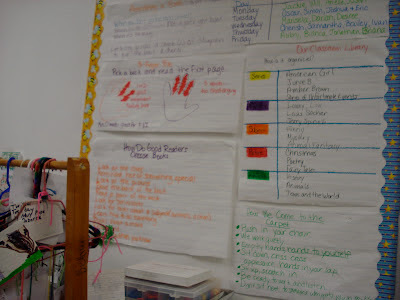 As a blog reader, classroom organization and layout one of my favorite things to read about, so I tried to be thorough. This is the view from the door to the far corner. The large "U" (which I'm not super crazy about, actually) is for teachers to meet and plan. I'm toying with separating the tables, but I don't have enough chairs for four separate tables anyway, so for now, it's a U. My sink, with my fridge (so excited to have one) and my cute little birthday balloons on top! This is the corner where business gets done. Or will get done. It's making me crazy that the printer is off-center, but that's the only way the cable will reach the jack! I may have to purchase a longer one, because every time I look at it, I cringe. The boxes (also cringe-worthy) are full of materials for my filing cabinets, but the drawers don't have racks to hold files. This means my files are still in limbo. That's one of the things I remembered I have to do! 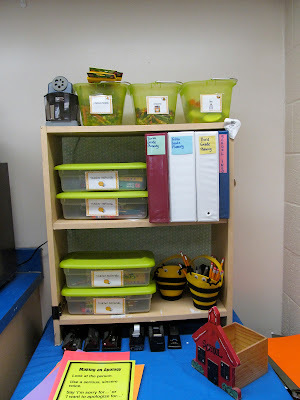 This shelf holds planning materials for teachers and me. The binders are for the three grade levels I'm mostly responsible for planning with (third, fourth, and fifth). I have the first nine weeks of curriculum printed, the state assessment released questions and tested items, planning documents, and some other miscellaneous planning materials. The tubs say "Teacher Materials" and they're full of materials for planning and making samples. 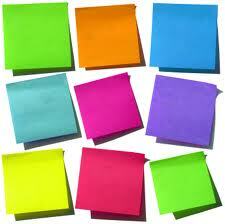 Markers, post-its, etc. 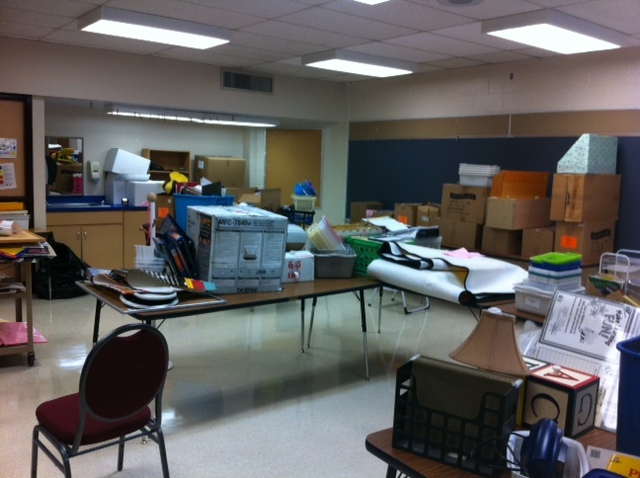 More blank bulletin board space and the scanner for scanning benchmark assessments. Still not hooked up! I don't know what I'll do on the spaces. Maybe some assessment information, so teachers can see how their kids are doing? 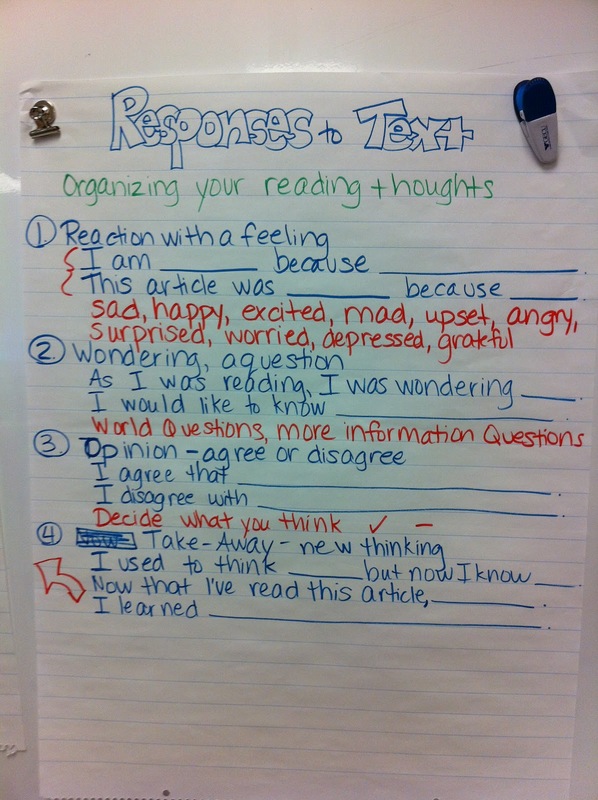 What does your literacy lead have? One is that my student made book basket (on the floor next to the brown shelf) is awfully messy. I think I just crammed them all in there! So I need to straighten them out a bit. Two is that I forgot my basket o'cords on the floor under the computer table. LOL! That's getting shoved in the closet on Monday! My mini-library and part of the word wall. 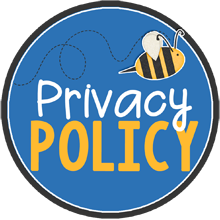 I used the word wall letters from my bee themed classroom set, and the library labels, too. I added a few of specific series books I had. 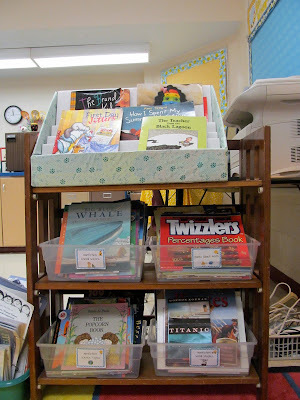 My featured back-to-school books on top, and nonfiction baskets below. This is my guided reading space. 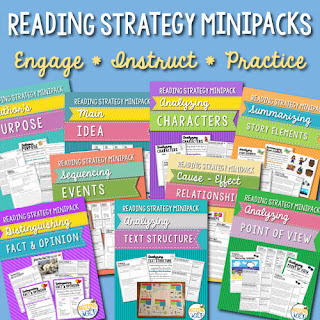 I'm going to borrow small groups of kids, and I'd like to model strategies and structure of guided reading here for teachers as well. 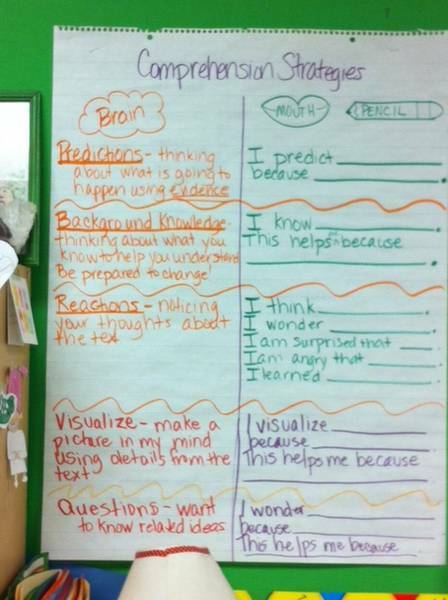 I left a space to add a reading strategies chart once I start working with kids On the back wall are decoding tools and strategies. 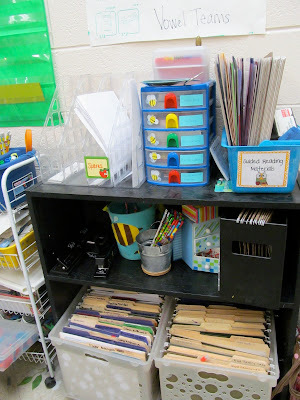 Here's my teacher tools. On the bottom are word work games and activities and the top is organized for groups. I also have dry erase boards and supplies. 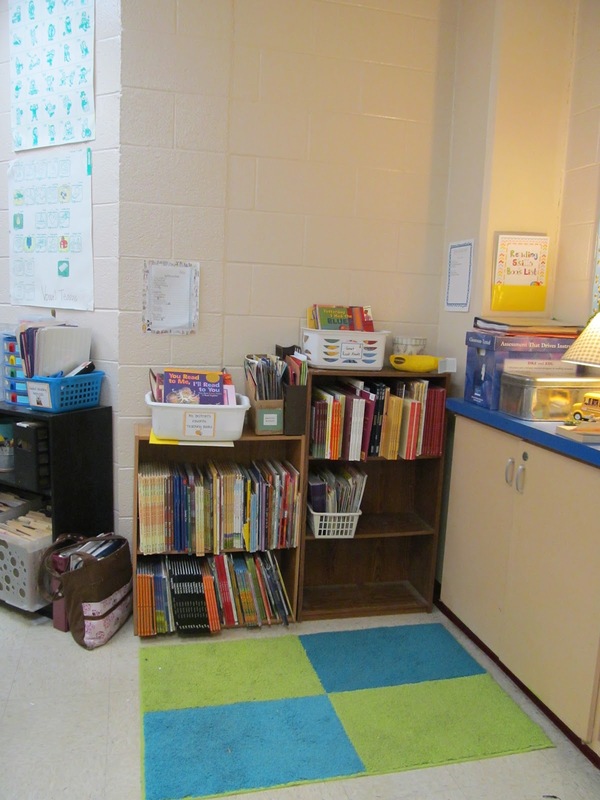 From the other side, my student space. 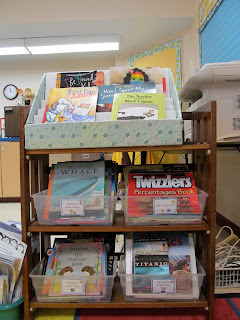 This space is for teachers to check out picture books for their classes. 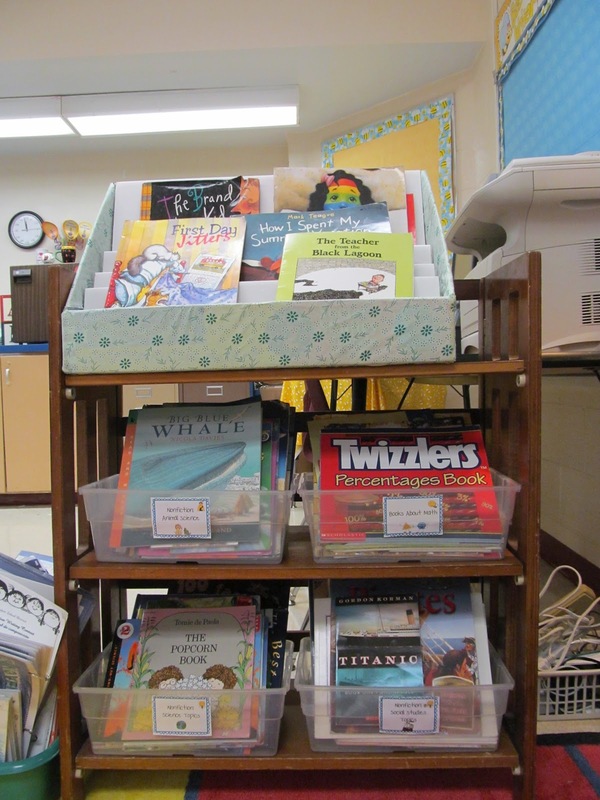 I placed my favorite read-alouds for the beginning of the year in the basket on top. 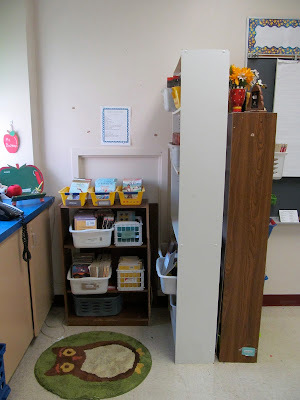 This shelf holds teacher resources. I organized them into resources for reading, writing, thinking maps, old school data, and lots of English Language Learner resources. 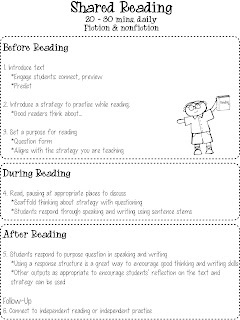 On the bulletin board, I made some sample reader's workshop charts that teachers might want to use with their kids to start reader's workshop and independent reading. 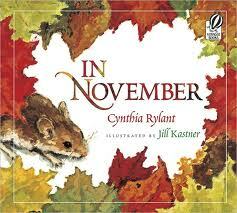 On the opposite side from the picture books, I have chapter book sets that teachers can check out for shared reading. On the wall is a list of the titles I have available. I love my owl rug, but I'd kill for a bee! Haven't found one (cheap enough) yet! The front of the room. I really wish I'd done yellow paper instead of white, but I had planned on using a different border and it didn't work out. I kind of hate the little projector cart. I want to put a pretty fabric skirt on it, but I haven't done it yet. Obviously. From the part of the room opposite the door. 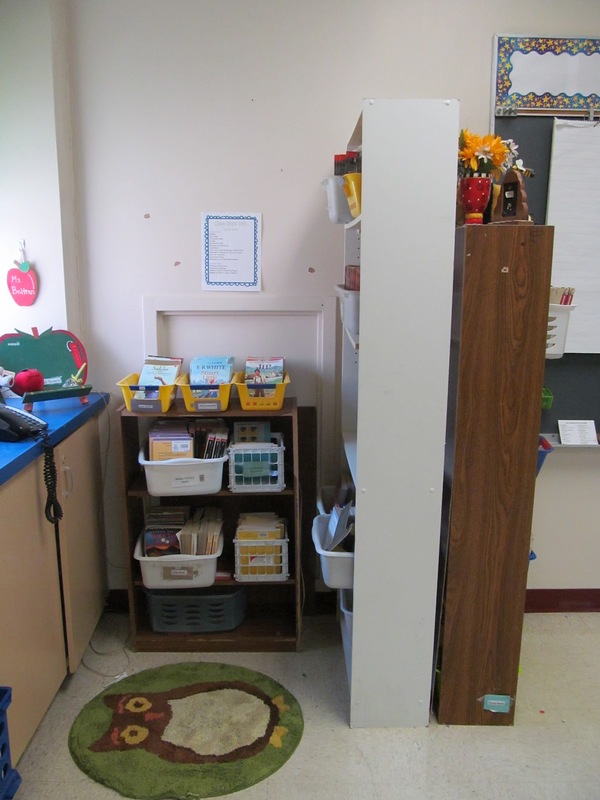 Teacher workspace. Calendars and important upcoming dates for district and campus. I'd like people to know where I am when I'm not in my room in case they need something. 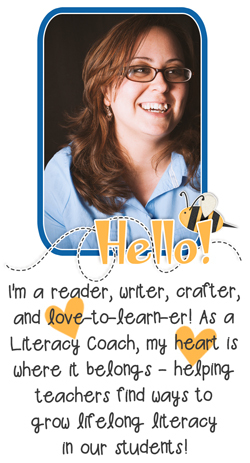 So... what does your literacy leader/instructional specialist/ whatever they call my position at your school do or have? I'd love ideas on how to make my room more useful for teachers. I think that's my job now. 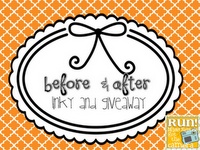 I'm linking up! 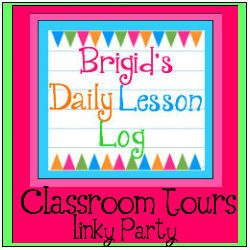 I couldn't help but link up to every single classroom linky party because I love classrooms so very much. 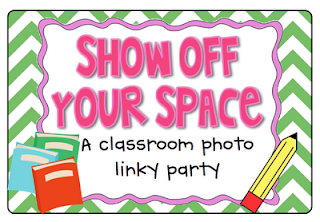 You should link up too, so I can see what your classroom looks like! Monday Made It: Birthday Balloons! It finally looks like a room. Second Full Day: More Progress!